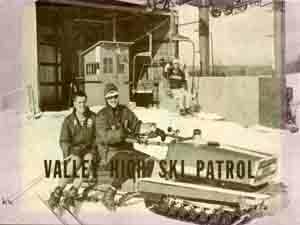 In 1 980, the National Ski Patrol was recognized as a Federal Charter by the United States Congress. This is a coveted endorsement that only a few other American institutions, such as the Red Cross, the YMCA, and the Boy Scouts, have earned. The Charter stipulates the promotion of safety and health in skiing and other outdoor winter recreational activities. The NSP reports directly to Congress. The Mad River Mountain Ski Patrol consists of over 100 dedicated volunteers providing ski / boarding safety at the Mad River Mountain Ski Resort. Our responsibilities include hill safety, skier/rider safety education, emergency care and rescue. Our mission is to serve the skiing public without charge in the rescue and first aid treatment of injured skiers, offering this service in a courteous manner, affording the best public relations possible for the Mad River Mountain Ski Area Resort and our organization.